One thing that webmasters tend to neglect is the speed at which their web pages load. Just a 1 second delay in the time it takes for a page to load will cause 11% fewer page views, customer satisfaction decreases by 16% and up to a 7% loss of turning visitors into sales. Adapting your website to deliver fast loading speeds is a project that can be worked in progressively. In most cases, there’s no single fix, rather improved speeds require some front-end trickery coupled with some adaptations to backend code. In this article, we will tell you some easy tips for making your website loads faster. To be honest, a proper hosting provider is a must-have to develop your website for it has the ability to provide you with enough bandwidth, high performance servers and cutting-edge technologies. Based on the requirements of the website, you need to choose the most suitable hosting type to power your site. 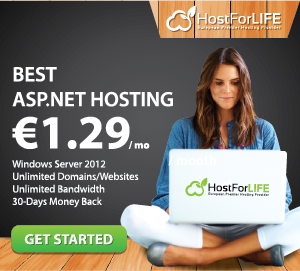 If you plan to run an individual site and wish to get more development space, the shared web hosting is a good option. For some people aiming to create large websites to promote their businesses and requiring the maximum allocation of hosting resources, they’d better select dedicated hosting. One of the biggest drags on a web page can be the number of database calls it needs to make to retrieve its content. Not only do database calls place extra load on the server when the page is being loaded, but they also slow down the processing of the page whilst it waits for the information to be fetched from the database. Using additional modules, such as mem-cache, you can cache certain elements of database data in the server’s memory so that only one call ever needs to be made fetch certain bits of information. Obviously you’re going to be needing to make more frequent calls for content and other items that are created or modified on a regular basis, but for items that are likely to remain more static such as menu elements, cache-ing represents a more resource efficient method of displaying this information whilst reducing the number of database queries performed. Where information is being fetched from cache memory, you will see an increase in page loading speeds compared with the same information being queried from a database. You’re probably using images somewhere on your website. The improvement in digital camera sensors and the larger resolution that adorns the average computer monitor has led to much larger images being used on web pages, whether these have been taken with a camera or created in Photoshop. It’s quite easy to just FTP an image into your web page, link to it using the ‘img’ tag in your code or through CSS and then resize it on the fly. This is the lazy man’s option. By reducing the size of the image on the fly, you’re adding in more code where it’s not necessary and you’re loading an image that is bigger than it really need to be – both of these scenarios will increase the amount of time it takes for your website to load. Resizing images to their precisely required size is the remedy to this situation because then you will be loading an image which is at the size that it needs to be and you can remove the code in your CSS file or HTML file that was in place to resize it. Avoid inline CSS where possible because it just adds extra code to be processed, and any website that has been designed and built properly should use a universal set of styles stored in the stylesheet, so there should never be any need for inline CSS. It is estimated that compressing your HTML and CSS files can reduce the file footprint by around 50-70%, which is a lot by any measure. This means that not only will your web pages load faster for those accessing them, but also the amount of bandwidth used in each request will be substantially reduced so that the bandwidth you do have available will stretch further and enable you to receive more visitors for the same allocation.